Started in the small French village of Tain L’Hermitage, Valrhona has been making chocolate since 1922. This large chocolate company chooses cacao beans based on flavour and terroir. 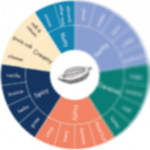 Over the years they have perfected their techniques to be able to enhance these flavours into unique profiles for use by chefs, chocolatiers and chocoholics around the world. As well as buying from cacao farmers, Valrhona opened and operates their own plantations in Venezuela and the Dominican Republic. This allows the company to learn more about cocoa, oversee quality, and guarantee refinement. 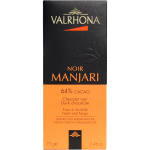 As well as making chocolate, Valrhona run a chocolate school for professional chefs and chocolate enthusiasts, sponsors chocolate competitions, and recently launched a hot chocolate festival in New York!